Our 3-D Photorejuvenation treatment here in Bloomfield, Connecticut is a combination of Titan™, Laser Genesis and Intense Pulsed Light (IPL). We customize these treatments for each patient. 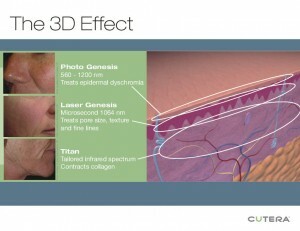 Each of these non-invasive, anti aging treatments are discussed in detail in the preceding sections. Used in combination, these treatments allow us to treat the full range of epidermal and dermal conditions most of us experience when we age. 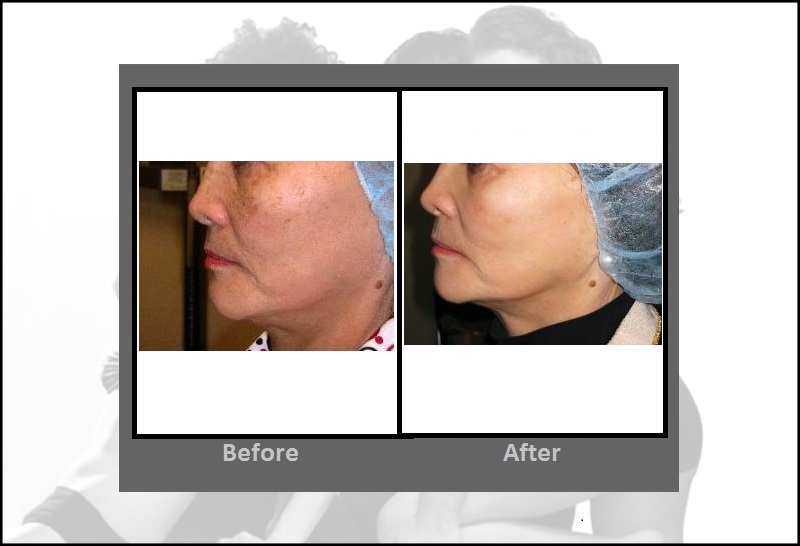 We perform the Titan™ Procedure which does deep dermal heating to tighten loose skin and remove wrinkles, Laser Genesis which targets the papillary dermis to improve pore size and texture and IPL treatment for sun damage, red and brown spots. All consultations and treatments are performed by a medical provider. If you have any questions or would like to make an appointment, call us at 860-242-0497 or Contact us.